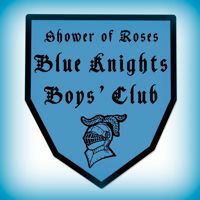 Here you will find all the 2011-2012 link-ups for the Shower of Roses online Blue Knights Boys' Club! 1. Create a post about your Blue Knights Meeting and/or follow up assignments that are completed before the next meeting. 2. Using the linky below, enter the exact link to your post to the corresponding linky below based on which meeting it was that you completed (i.e. 1st, 2nd, 3rd, etc). 4. Be sure to visit the links and see what everyone else in our group has to share! 5. This linky will remain open until June 2012. Is it too late to join you in this? Our son is feeling 'left out' in the midst of little flowers and hospitality programs. Would you email me with a response or FB the reply...Thank you!!! Can you tell me more about this. I have seen some things at Adoremus for this program and tried to check out their website, but am thoroughly confused. I think this would be a really fun program for my boys. Wedding Memories on our 12th Anniversary!